I'm showing Liz Earle a little love on the blog this week it seems, did you catch my post on the Eyebright Lotion earlier in the week? 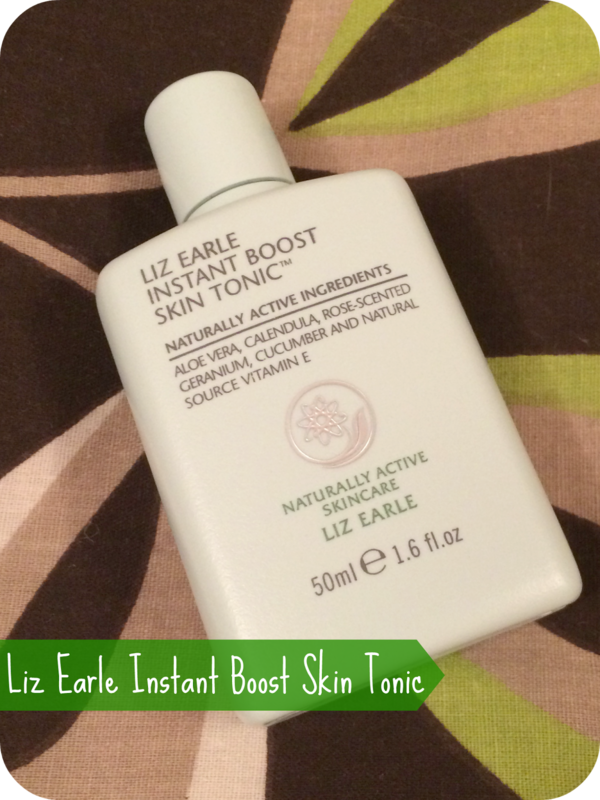 Today, I bring you the Liz Earle Instant Boost Skin Tonic. This weather has wreaked absolute havoc with my skin, couple that with the stress of moving and well, life in general, the long days and dark nights are starting to make me look like a could-be extra from The Walking Dead, so, to say my skin needs an instant boost is an understatement! Liz Earle has fast become one of those cult classic brands, their hot cloth cleanser a staple in many a blogging gals beauty arsenal. I was pretty taken with the cleanse and polish myself, so I just had to see for myself if anything else in the range lived up to the hype. I'm not the biggest fan of toners, having oily skin they're not always my beauty best friend that's for sure. I find they have a nasty habit of overly drying my skin, causing it to look amazing for a while...until the sebaceous glands go into overdrive and turn my face into a friend eggs dream. That's not exactly a good look for anyone, is it? So, what's different about the skin tonic? They say it's a non drying toner that soothes and refreshes, leaving behind a light layer of moisturizer and your skin looking instantly re-hydrated and brought back from the dead. It's naturally active ingredients include; aloe vera, cucumber, and natural source vitamin E, all of which are, as many of you know, amazing for our skin. It sounds less like a toner and more like a moisturizer if you ask me. Alcohol free but heavily scented, it might not be the best for super sensitive skin. I started using the instant boost skin tonic twice a day after cleansing, but, yup, you guessed it, the oil came back with a vengeance. As disappointing as that was, I didn't let it cast the bottle to the back of the beauty drawer, I persevered, but only used it at night. After cleansing and patting my skin dry, I popped a few drops of the instant boost skin tonic onto a cotton pad and swept it in upwards and outwards circular motions, never dragging on the skin and avoiding my eyes. Like a toner, the cotton pad does, occasionally, come away with excess dirt and oil on, so you know after using it your skin is extra clean. Before it dries, I apply my evening moisturizer. I swear by applying moisturizer to damp skin, it soaks in much better! My skin really does feel like something special after using this, I can't lie. It feels super refreshed like it's just been blasted (in a pleasant way!) with icy cold water. It looks smoother and my skin tone appears more even. I've noticed reduced redness around my nose, brought on by this wintry weather, and my pores appear tighter and cleaner. Though the formula is lightweight, practically like water, I can't use it during the day, which is sad. It just makes me skin too oily and there are just not enough blotting papers in the day to deal with it. One more thing, maybe it's just me, but this smells like baby lotion, I swear! They say it's a heavy floral scent but to me, it's got that distinctive baby lotion smell. I don't think it's a bad thing, just strange really! Overall, I'm more than impressed. Sure, I can only use it once a day but that seems to do my skin more good than using it twice a day. I'm reaping all the benefits they claim this little wonder has; soothed and toned skin, revitalized appearance and a brighter complexion, you won't find me complaining any time soon! Have you tried the Liz Earle Instant Boost Skin Tonic, or anything else in the line you could recommend? Let me know in the comments below! I never got along with Cleanse and Polish, but I'm desperate to get my hands on other products in her range. I love a good toner, I'll definitely have to take a look at this! I've heard a few people say that, everyones skin is just do different! I'd reccomend you check out the eye bright lotion too, it's lovely! I found it was really soothing when I got my hormonal related acne, it definatly stopped the spots from feeling painful the way they can get sometimes but it didn't really reduce redness and inflammation. I've actually recently found pure natural tea tree oil to be the best thing at reducing redness caused by acne!